It's been more then 3 days since my last post. I've been very busy studying for my first roman law exam that's been today. After the exam I took these photos outside. I'm very sad it's snowing again, looks like we're going to have a snowy Easter since we didn't have the snowy Christmas. I went to do my hair in Topstil later, and I'm completely blonde now!! You'll see more of my new hair tomorrow. I'm wearing my new necklace that I got from Rocks Paper Metal. Very unique, very creative, just the way I like my necklaces :) Keep calm and don't loose your mind waiting for spring to come! great way how to layering perfect stuff together !!! you look great. love the look on you. Such a pretty outfit. 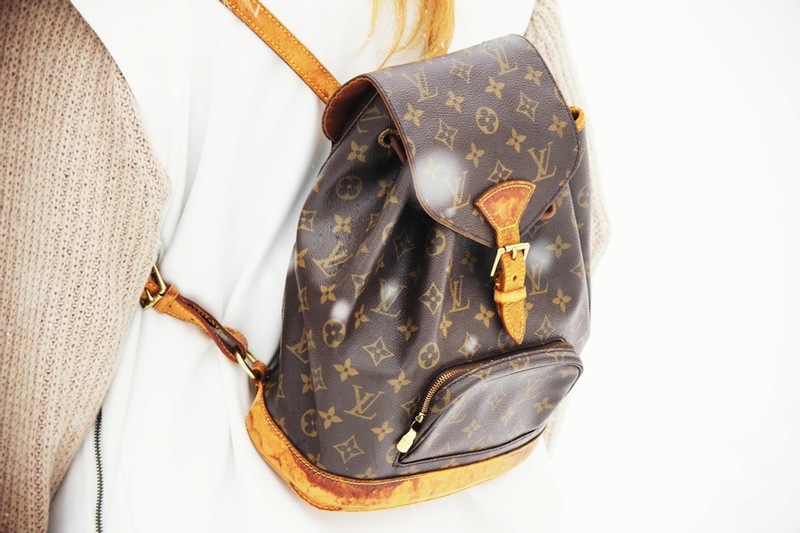 Your LV bagpack is so cute! im wearing white "today" too you look aamaaaaaze. as always . just perfectly minimal, but sport here and gorg! xO!